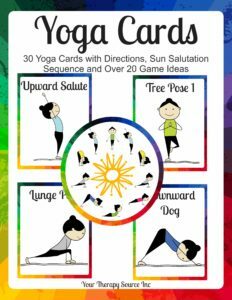 Yoga incorporates breathing techniques, postural control, muscle strengthening, flexibility and cognitive control which can help promote self-control, attention, body awareness, and stress management. These are all skills that are beneficial for children with ADHD to practice. 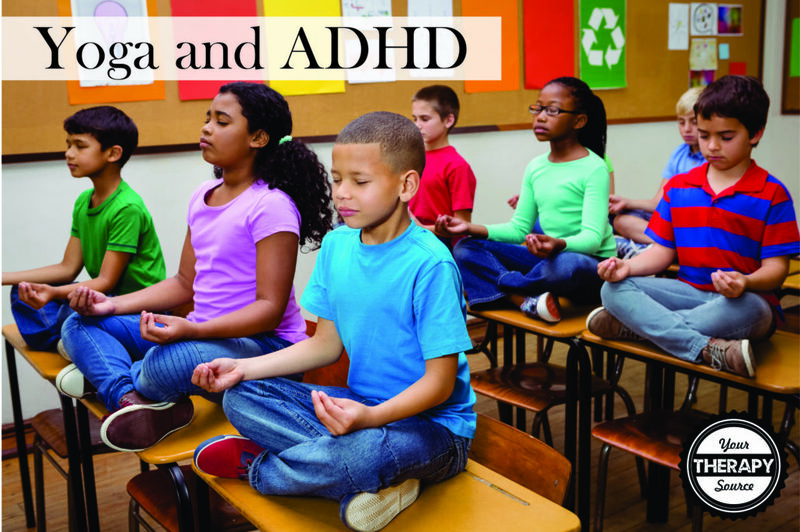 Recent research analyzed the benefits of yoga in 49 children (average age 10.50 years old) with ADHD. The participants were assigned to a yoga exercise group for an 8 week exercise intervention, 2x/week x 40 minute sessions or a control group. All subjects were evaluated with the Visual Pursuit Test and Determination Test prior to and after the intervention. The Visual Pursuit Test is used to assess visual perception involving sustained attention and the Determination Test is used to evaluate the ability to determine multiple-choice reaction requiring inhibitory ability and selective attention. significant improvements in accuracy rate and reaction time of the two tests were observed over time in the exercise group compared with the control group. 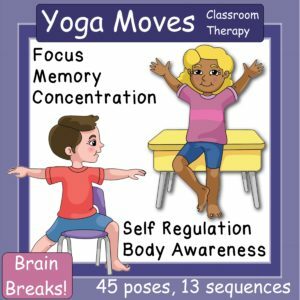 The researchers concluded that yoga exercises can be beneficial as a behavioral intervention for children with attention and inhibition problems. 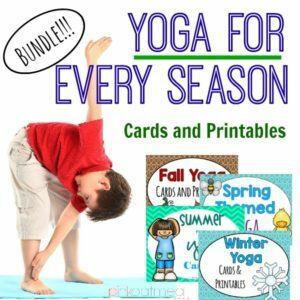 Check out some of our amazing yoga resources for kids!